Home / Iraq / What Does the Future Hold for Water in Iraq? One major obstacle to strategic water resource management is the coordination between the central government in Baghdad and the Kurdistan Regional Government (KRG) in Erbil. The ability of the central government to continue to jointly manage water resources with the KRG is vital because an active and precise management of the largest reservoirs located in the north is the only way to provide the desired level of development for the entire country. Failing to maintain coordination in the future will most certainly be the cause of great social and economic tension as well as a catastrophic loss of opportunity for both sides. An additional obstacle is Iraq’s vulnerability to upstream development in Turkey, Iran and Syria (although the latter has been effectively wiped out by the IS insurgency). If the upstream countries do not meet their expected efficiency gains in agriculture over the next 20 years, then a further reduction of the projected water quantity and quality delivered to Iraq will likely result – with the concomitant economic and social harm that this brings. Gaining a greater understanding of Turkey’s and other riparian country’s actual plans and progress, and reaching a comprehensive negotiation strategy on water must, therefore, be a top priority for the government. At the same time, Iraq must make gains in its own agricultural efficiency, rehabilitate and extend its irrigation drainage and collection network, and repair various elements of its water infrastructure, including Mosul Dam. The greatest impediment to sustainable water management, however, is the highly volatile security situation created by the IS insurgency. The militia has specifically targeted water infrastructure on the Euphrates and Tigris rivers as an essential component of its expansion strategy and were able to gain control of as many as six dams by 2015. The capture of major structures as well as the dangerous environment created by armed conflict have made the management, repair and modernization of necessary infrastructure impossible. Controlling major water infrastructure has allowed IS to use water resources for military purposes, such as flooding areas or contaminating drinking water. Since 2013, IS has launched almost 20 major attacks against Syrian and Iraqi water infrastructure, including closing the dam gates in Fallujah and Ramadi and cutting off water to Mosul. Although IS has lost a significant amount of its territory (and the water infrastructure that accompanied it) throughout 2016, the Ministry of Water Resources will have the difficult task of rebuilding and rehabilitating whatever remnants get left behind. Like many countries around the world and particularly in the MENA region, Iraq’s projected future freshwater availability looks bleak. Indeed, the number of people living in river basins under severe water stress is projected to more than double between 2000 and 2050 to 3.9 billion people. The government has stated that it is committed to finding additional groundwater resources in order to increase the total available water supply as well as reforming the agriculture sector to reduce consumption. To achieve water security in Iraq, a top priority is to seek one or more agreement(s) with Turkey and Syria that address the quantity and quality of the water in the Euphrates and Tigris rivers entering Iraq. 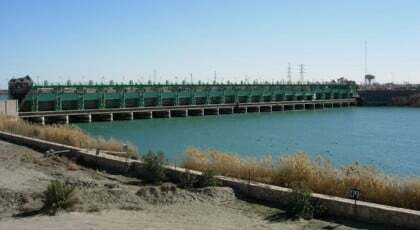 Additionally, since the water requirements within Iraq are soon to exceed the available water, a plan for the future requires making better use of the country’s projected water supply, including improving reservoir operations and increasing the efficiency of water consumption. Expansion in the number of water treatment facilities and improvement and expansion of the water pipeline network that delivers water and serves Iraq’s municipal and industrial water users is a high priority. At a minimum, treatment of drinking water should achieve the drinking water standards set forth in Regulation No. 417 of 1974, Iraqi Standard Specifications on Drinking Water, updated in 2000, which in some cases is stricter than the World Health Organization’s health-based guidelines for drinking water. 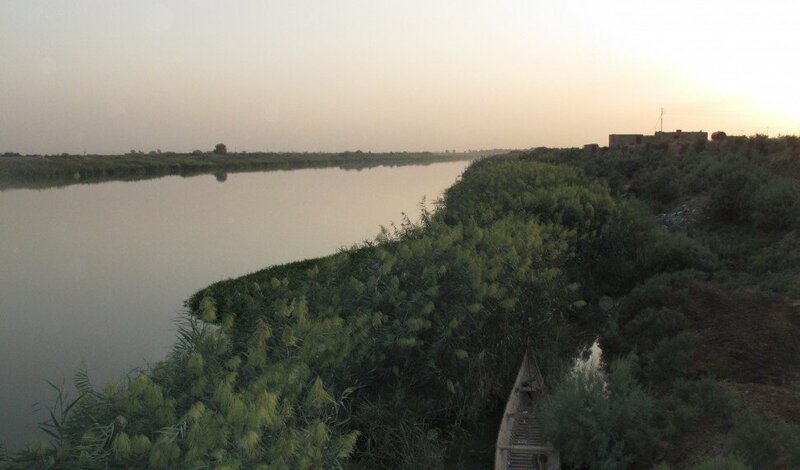 Of paramount importance to controlling salinity along Iraq’s rivers is changing the manner by which agricultural drainage is managed. Between now and 2035, irrigation projects should be progressively tied into drainage channels that convey return flows from agriculture, effectively segregating polluted agricultural runoff from the freshwater supply. These actions are projected to vastly improve the water quality in Iraq. That being said, Iraq cannot wait for a perfect world in order to better manage its water resources. Various policy changes can improve water resource management in the interim, including incentivizing efficiency, and restructuring storage policies and allocation mechanisms. It is incumbent upon the government to do what it can, as soon as it can, to protect the country’s most precious natural resource. BBC News, 2015. ‘Islamic State’s “water war” on Iraq’. Available at www.bbc.com/news/world-middle-east-34905237, accessed 6 June 2016. Tobias von Lossow, 2016. Water as Weapon: IS on the Euphrates and Tigris. Available at: www.swp-berlin.org/fileadmin/contents/products/comments/2016C03_lsw.pdf, accessed 18 August 2016. Ambika Vishwanath, 2015. The Water Wars Waged by the Islamic State. Available at: https://www.stratfor.com/weekly/water-wars-waged-islamic-state, accessed 18 August 2016. Henry Johnson, 2016. The Islamic State is Losing its Territory – and Fast. Available at: http://foreignpolicy.com/2016/03/16/mapped-the-islamic-state-is-losing-its-territory-and-fast/, accessed 18 August 2016. Helen Mountford, 2011. Water: The Environmental Outlook to 2050. OECD Global Forum on Environment: Making Water Reform Happen, 25-26 October 2011, Paris.